Vote now for your players of the season! POLLS CLOSE MONDAY 18th JUNE AT NOON. The SRU announced the players who will form their EDP for the 2012-13 Season for Edinburgh, Glasgow and Sevens. Club players, volunteers, referees, coaches and supporters gathered at Murrayfield to celebrate the successes of the club game at the third annual Scottish Rugby Club Awards Dinner. A week from today Andy Robinson will announce his first squad of the Summer Tour, to face Australia in Newcastle. Rory Baldwin takes a look at who should be in it. Edinburgh bolstered their pack again with their second signing of a player from Super 15 side the Cheetahs. Scotland coach Andy Robinson today announced a 28-man squad for the tour of Australia and the Pacific Isles including 5 uncapped players. The IRB announced several new law amendments are to be trialled, including the role of the TMO. 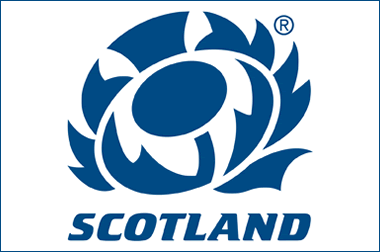 Scotland will play New Zealand, South Africa and Tonga this November.